Elijah and I love to eat. He, as a matter of fact start eating at the age of two months and a half. No wonder he gains twice his weight monthly. The very first food he tasted is the CASSAVA. Yes, the one with chalk-white or yellowish flesh. My mom used to feed him with anything that is available in our dining table. I tried giving him cereals like Cerelac but he didn’t like the taste. 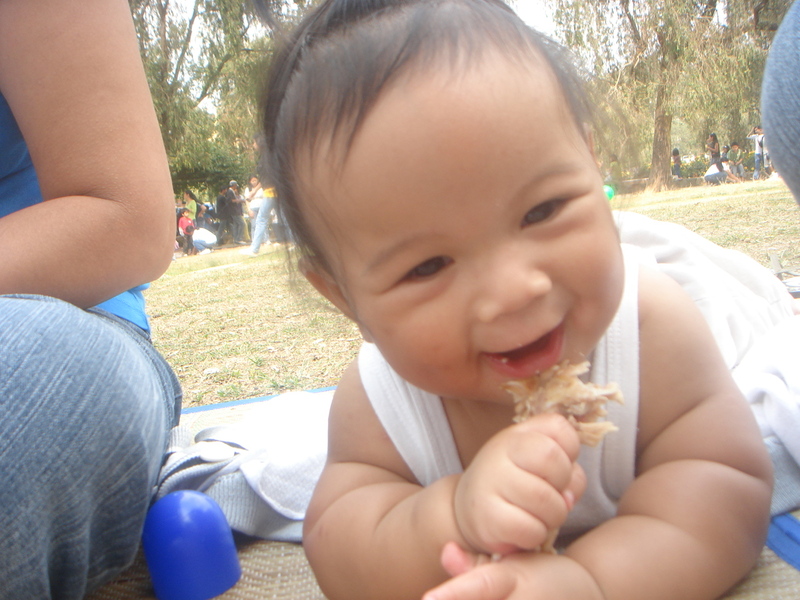 Good thing I trained him early to eat veggies, fruits, fishes, chicken,rice and soup because I don’t want to him to be a picky eater. 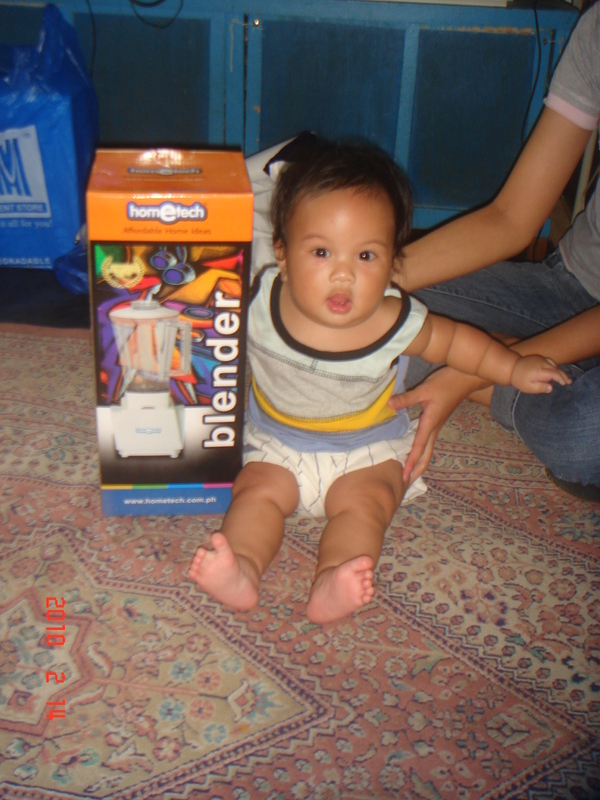 Ninang Teng and Bab gave him a blender as a baptismal present for him. We use it everyday to make puree food and juices. Thank you! hihi. Jollibee’s macaroni soup and spaghetti, Mcdonald’s fries and sundae, Chowking’s chicharap and halo-halo, brownies are only few of his favorite fast food. 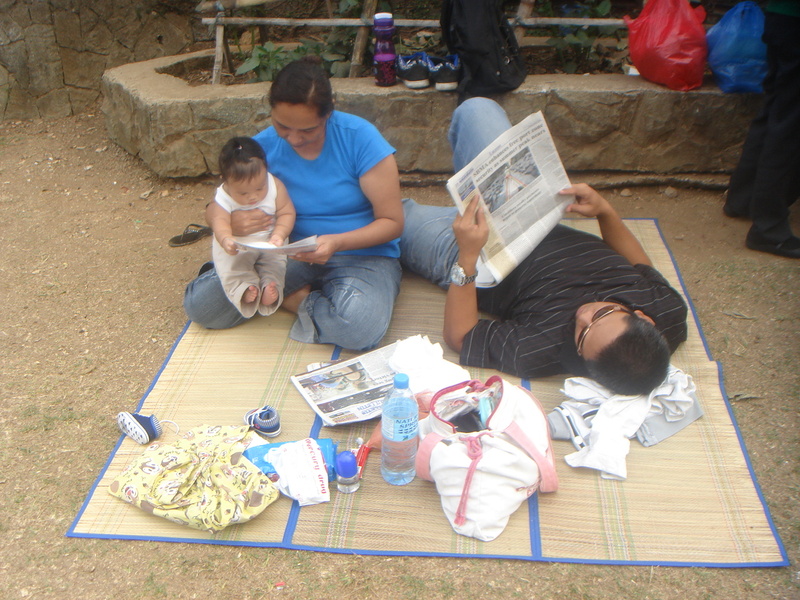 When granny comes home, Everyday is BURNHAM DAY and PICNIC DAY. 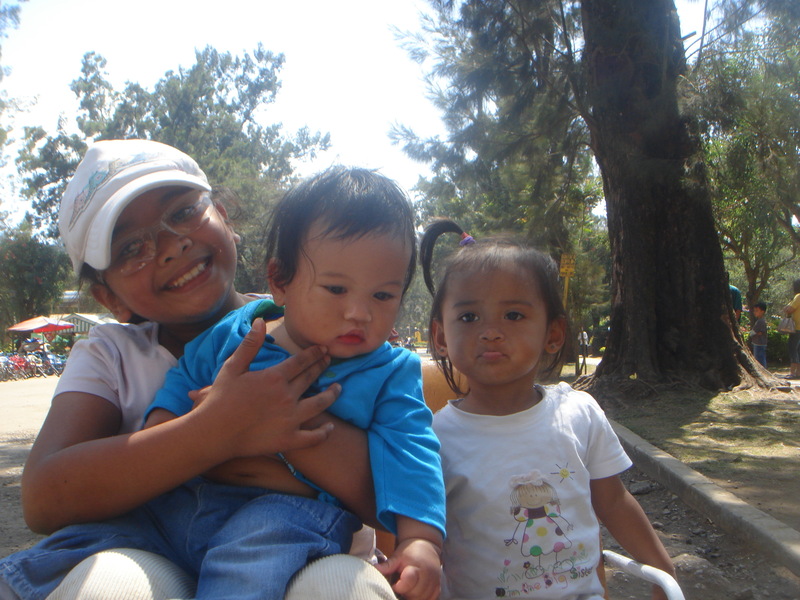 she always bring Elijah and Svet to Burnham park to play. A good and balanced diet help kids grow up healthy. It is important to avoid many health risks. Eat healthy, live healthy! juice koooo! ang taba taba nya pa dito! marshmallow man! hahaha! labyu diegow!